Heading for university for the first time can be an overwhelming experience. You’re going to have exhausting days on campus when you don’t even have a chance to grab a bit to eat, and finding the time to run back to your Kingston accommodation to grab what you need for the next session may prove absolutely impossible. That means keeping a well stocked backpack for those rough days. What should you keep inside? Take a look. A Student Planner: Keeping a planner is absolutely essential at university. Don’t worry, writing everything down won’t stifle you. Instead, it will help you learn to keep control of your world, especially when it seems to be spinning out of control with so many things to do! A Water Bottle: Hydration really matters to your health, so don’t forget that water bottle. The last thing you want to have to stop and do is spend more cash on a water bottle you’re just going to have to throw away. With so many bottle fillers on campus these days, it’s best to choose a good water bottle that will keep you hydrated and fresh throughout the day. A USB Stick: Everything might be in the cloud these days, but what happens if that cloud crashes and you don’t have instant access to your work before your tutoring session? You’re going to have some real problems ahead. Backing your work up to a USB stick can make sure that doesn’t happen, even if you the Internet goes down at 2 a.m. while you’re making some last minute revisions to the paper that is due when you get up in the morning. A Card Holder: You may want to store your Kingston accommodation keycard, university student ID, or your Oyster Card. No matter what you want to keep in there, though, a card holder is absolutely essential. A Kingston University Campus Guide: Where is it? How do I get there fast? This guide will show you exactly what you need to find and the quickest route to get there. After all, you don’t want to be late, and you don’t want to have to ask someone else how to get there. There’s nothing quite like Fresher’s Week. It’s easily the most exciting and terrifying time of your life at uni, but you will survive. Wondering how to make that happen? These tips can help. Meet Someone! Seriously, the sooner you can start making friends at uni, the better you’ll feel about being there. Luckily, Fresher’s Week tends to be the single most social time of the year, and everyone is in the same spot you are, so get ready to make some friends. When you do, make sure you make a few more, but do it together. Start knocking on doors and meeting others who are new to the area and want to hang out. You’ll feel a lot better when you have a crew of friends. Learn Your Surroundings: As important as friends are, it’s just as important to learn where you are and where you need to be. Think carefully about what you might need to know. Certainly you’ll want to understand the basics of your Kingston University accommodation. Understanding a few simple things like where the building manager’s office is located and how to get to the laundry room is key. Don’t stop there, though. Take a closer look at where a food shop is located and what takeaway you can get at your Kingston accommodation so when you’re on a study binge, you don’t have to stop to eat. Find a Bank Account: You’re also going to want to open a student bank account right away. Many of the biggest names in banking have student accounts including Lloyds, Barclay’s, HSBC, and Natwest. You just need to do a couple of things. First, choose a bank with a student account, then make sure you have everything you need to open the account. 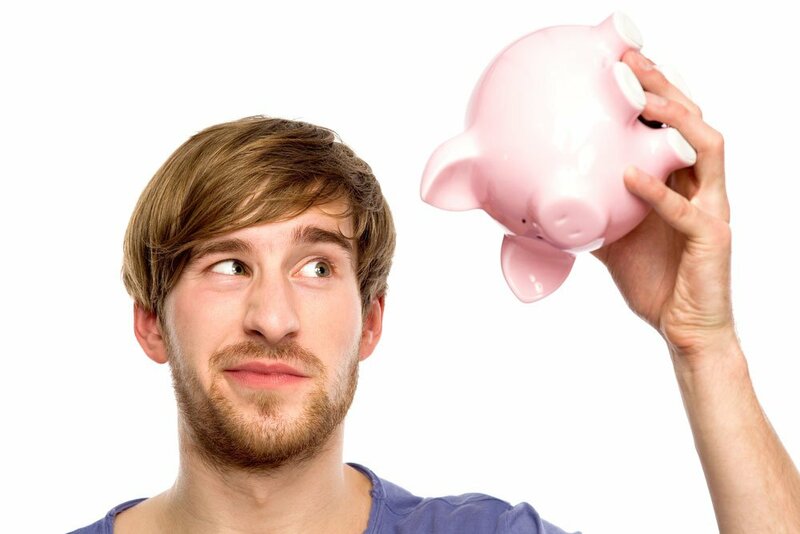 Decide whether you want to go with a current account or a savings account, then get started. You can either open an account in person or just handle the entire transaction online. Either way, make sure to put something in that account because your student loans won’t come in immediately, so you may need a bit of cash on hand to make it through the first few weeks. As any student can tell you, uni is expensive. The cost of tuition, housing accommodations, food and entertainment can be very taxing on the uni student’s purse. Fortunately, one of the advantages of being a student is the number of discounts available to you to help you through these years — you just need to know where to look. Here are three student discount websites to help you make the most of your university experience. The National Union of Students offers a discount card to uni students that can be used both in stores and online. While the standard NUS discount card is offered free to all students enrolled in participating UK unis, they do offer additional savings through their NUS Extra savings card. It’s relatively cheap — card prices start at just £12 — and can be purchased on the NUS website. Also on the website: a wide range of discounts you can tick off your wants list, ranging from apparel to food to electronics. The savings provided by the NUS Extra card are nice, too. Recent offerings include 20 percent off Microsoft electronics and £25 tickets to Go Ape! adventure treks throughout the UK. UNiDAYS is one of the most well-respected student discount websites on the web, and for good reason. The website is packed full of savings for uni students. Discounts are organised by broad categories like lifestyle, health and fitness, beauty and fashion. Selecting one of these categories on the UNiDAYS site leads you to a number of current offers specific to students. To redeem the discounts, you’ll first need to join the website. Luckily, sign up is free, and the number of discounts at your disposal makes the occasional email you’ll receive from UNiDAYS well worth it. If you’re a student traveller, then StudentUniverse, the website for travel discounts, is your best online destination. This site offers student discounts on flights, hotels, tours and activities, and is perfect for summer break or holiday travel planning. A recent website search reveals a Kingston College student could take a thirty-minute drive from their student accommodation in Kingston Upon Thames to Heathrow Airport and enjoy a trip to Dubai for as little as £271. Additionally, the website offers other rate-reduced packages to popular destinations including Edinburgh, London, Amsterdam and Paris. 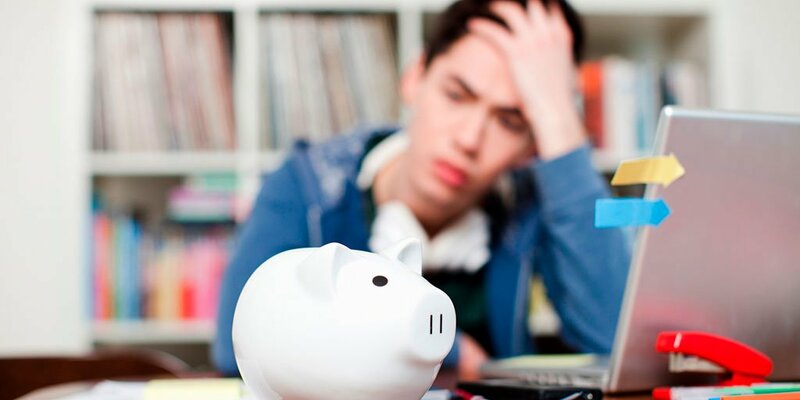 Saving pounds on your expenses during your time at uni does not have to be hard. Give each of these sites a look to keep more of your hard-earned fivers and tenners. Can Amro Vantage Help You Eat Healthier on a Student Budget? It’s not easy being a student. 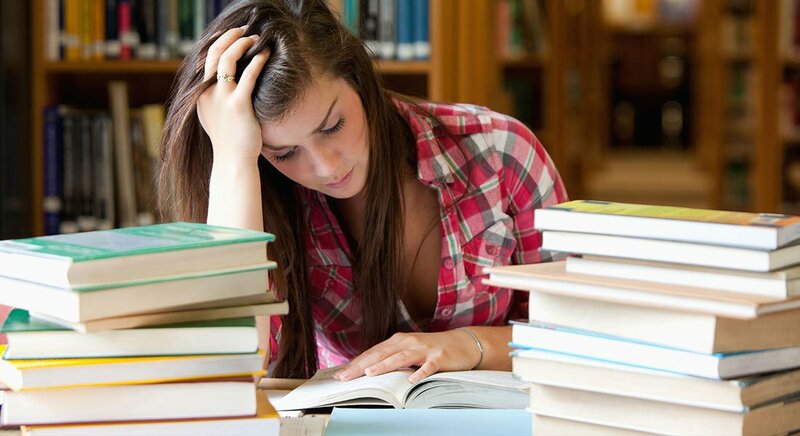 You might be spending all your time studying and forget to eat healthy meals. Learn how Amro Vantage can help you eat healthier on a student budget. Have you ever been doing an all-nighter and forgotten to eat? At the end of the night, you are tired and just want to sleep. You might have an early class the next day. What are you going to do? Ordering Chinese or pizza can be expensive. Plus, it will take time to deliver. You might be asleep by then. Why not plan ahead with some tips to making your student meals healthy and affordable? You have heard the maxim “You are what you eat,” right? If you eat garbage, you will feel like garbage. Why not toss some legumes, tomatoes and onions in your refrigerator? Cook up a couple of meals on the weekend. Then, during your study time, you will have a nice healthy snack. Soak the beans overnight with your favourite seasonings. Do you like spicy pepper or something milder? You can make a cheap chili with garlic, cayenne, chili and red peppers. 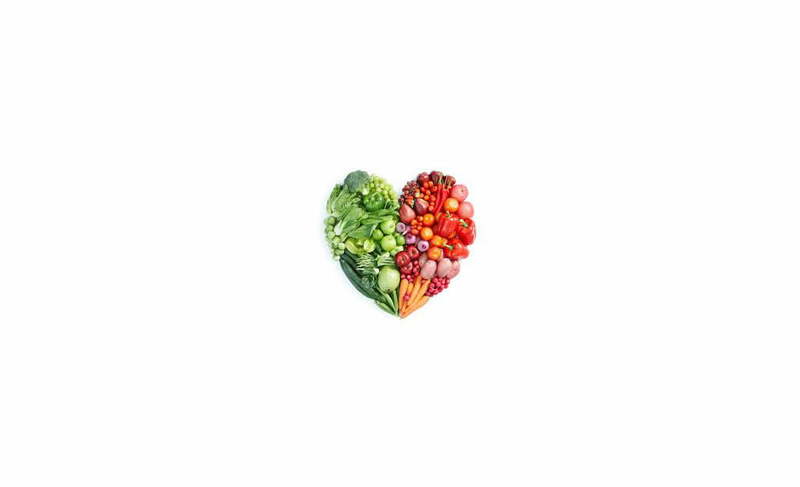 Healthy food improves thinking. If you get the best grades at school, then you will optimise your income-producing potential. In order to get those good grades, you should eat well. Amro Vantage has a number of kitchen options, based on the facility. These allow you to cook up your frozen meals. You can get simple meals with a little of everything – meat, vegetables and dessert. Or, you could get vegetables. Mum told you to eat your veggies. Relax after a hard day at classes with a healthy meal. Your all-inclusive Amro Vantage rent provides you with security, housing and kitchens. Enjoy excellent high-speed Wi-Fi access to watch your favourite cooking shows. Sub-par meal choices or inferior accommodation could lead to stress and anxiety. Trust in the friendly, helpful staff of Amro Vantage to make your time as a student, the best. It’s nearly that dreaded time in the semester once again: exams. Before the closing of the school year and the approaching holidays comes the added stress of preparing, studying and finally completing these last examinations. Although this period can be taxing on any university student, it doesn’t have to be. With a little care and extra attention, you too can beat exam stress. Here’s a few ways to get started. Listen to music, which can calm you before and during sleep. Try meditation, an ancient practice that leads to both less stress and better sleep. Explore homeopathic essential oils like lavender, whose scent is used by some to relax and de-stress. In the midst of studying for an exam, it can be easy to neglect the nurturing of relationships with both friend and significant others. But it doesn’t have to be that way. Many students find group study to be not only more enjoyable, but also beneficial to the amount of information they’re able to retain. Try making studying for your next exam a social event. Gather close friends — especially those taking the same course as you — for an evening of studying. Make it fun: order pizza, buy some drinks and celebrate the semester’s upcoming conclusion whilst making headway on studying. The most important thing you can do to take care of yourself during exam time is to carve out some time meant just for yourself. Give yourself a break from studying. Participate for a few moments in doing something you enjoy. Play an hour of your favorite video game, treat yourself to some ice cream or just relax in a nice warm bath. Though exam time can be quite stressful, you don’t have to allow the stress to consume you. With a little attention, you can make the best of exam time whilst taking care of yourself. 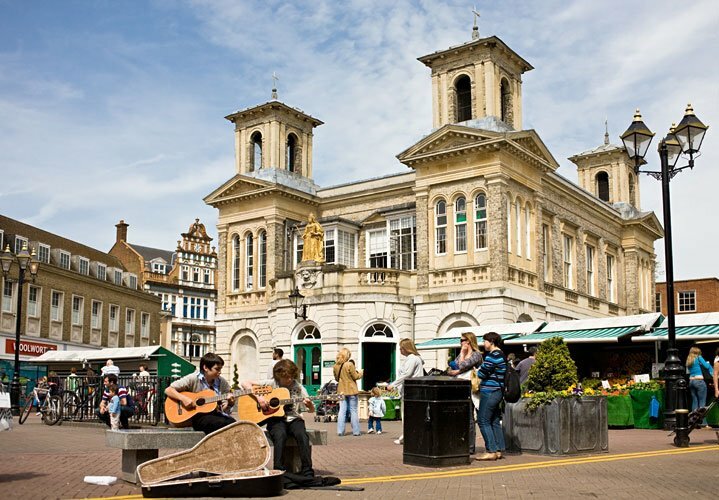 With Bright House in such close proximity to Kingston Town Centre, it opens up a range of events and activities taking place where you can utilize is a Student and take advantage of the many opportunities to grab Student Discount around town. The Rose Theatre, just a one-minute walk from Bright House, celebrates its tenth anniversary this month, and to mark this occasion they are staging a revival of the Shakespeare classic ‘Much Ado About Nothing’ starring ex ‘Great British Bake-Off’ presenter Mel Giedroyc. She stars as Beatrice in a comedic tale of love and identity set in 16th Century Sicily. There is a range of productions and events hosted by the theatre throughout the year, and students can enjoy £5 discount on ticket prices!!! If you’re into your Sport, then AFC Wimbledon’s Kingsmeadow Ground is just a twenty-minute walk from Bright House. AFC play in EFL League One and host Oldham on Saturday, April 21st at 3 pm. They then face Bury on Saturday 5th May at the same time in their final game of the season. The Dons are involved in a tightly-contested relegation battle, and the atmosphere should be fervent in their final two home fixtures of the season. The Rotunda Centre is next to Kingston Station and houses a range of delights including the Odeon Cinema, Ten-Pin Bowling, Five Guys and many more. Ten-Pin offers half-price bowling and drinks every Tuesday, while in a range of restaurants including Pizza Express, Frangos and Prezzo, Student can take advantage of a range of discounts including 40% off in Pizza Express every Monday and Tuesday!! If Latin-American food and a wide variety of cocktails are up to your streets, then just a one-minute walk from the Bright house is Las Higuanas. Students can enjoy a 25% discount from Sunday to Thursday and also be sure to be there for Happy Hour, where all cocktails are 2 for 1!!! Also within just one minute of Bright House are Nandos, the Bavarian-themed Stein’s and The Mill, which offers reduced drinks on Monday and Wednesday Nights!! How to Make Money at University? The idea of the poor university student may seem cliche, but the simple reality is that it’s tough to have anything extra while you’re at uni. The frustrating bit? This is the one time in your life there’s always going to be something to spend that extra money on. From big ticket items like an upcoming trip during break to smaller things like a trip to the pub with friends, you’re going to need a few bob in your pocket now and then. Between classes and studying, though, where do you fit it in? These ideas might help. Work on Campus: Many universities employ students for various positions around campus. From working with the catering service to simply placing books back on the shelves in the library, there are often small things you can do to add some cash to your pocket. Tutor: If you’re fairly smart in a particular area, you may be able to tutor younger students in town. From helping students who are just learning a musical instrument to assisting with tough math classes, you could be using your brain to line your wallet. Virtual Jobs: There are many jobs you can grab online these days. Often blogs need a bit of assistance filling their sites with good content. Sometimes graphic design studios need a part-time online hand to help deal with an overflow of work, too. You can even find jobs online for virtual assistants (think secretary online). Whatever you’re good at, there’s a good chance you can sell your services online, and you’ll never even have to get out of your pyjamas to do it. Just Drive: Thanks to Uber and Lyft, you could be using your car to make a bit of extra cash. You can work around your uni schedule and make money only when you’re available. Take note, though. You do have to have a licence, and you will likely need to be over the age of 21, depending on the service you use. With ideas like these, you don’t have to remain an impoverished student forever!